The South West Atlantic is a very productive part of the global ocean. 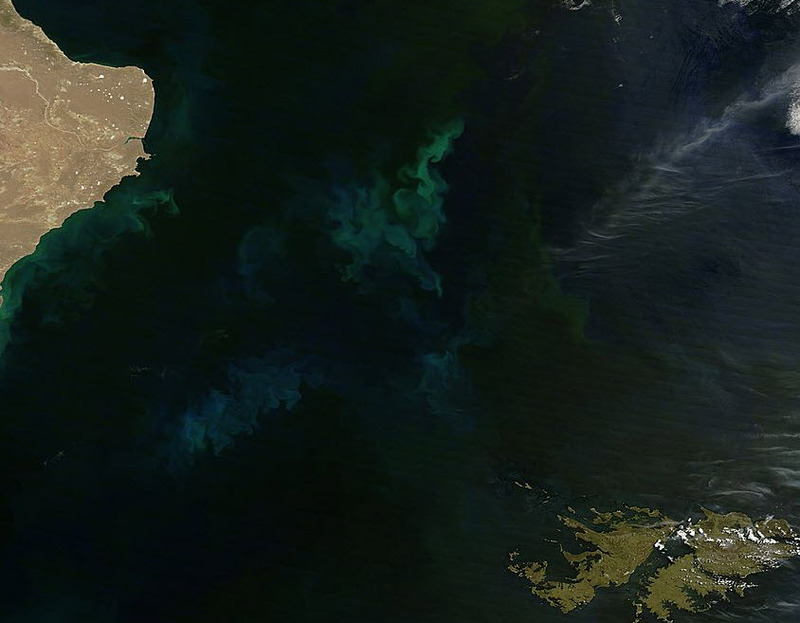 This MODIS image from the Terra satellite shows the east coast of Argentina and the Falkland Islands. The ocean between is filled with swirls of lighter colour which are a plankton bloom along the continental shelf of South America. The high plankton productivity means that there is food for the higher predators - and this region is famed as an extraordinarily rich squid fishing ground. In 2014 the fishery apparently took over 1/4 million tons of the squid Illex argentinus. Posted in Science. Tags: Argentina, Falkland Islands, Illex argentinus, oceanography, South Atlantic, squid on January 28, 2015 by Mark Brandon. British Pathé News was a British institution that produced news reels and documentaries from 1910 to 1970. Their website is full of news clips of polar interest such as Shackleton’s death in 1922. But here is something wonderful and obscure. 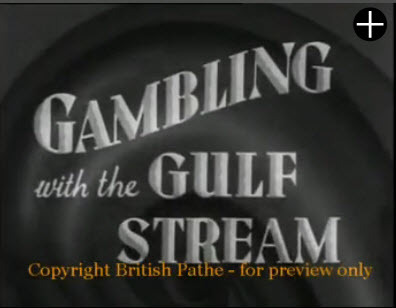 Gambling with the Gulf Stream made in 1936! © British Pathe screengrab from online preview. In just 2 and a half minutes the voice-over explains what the Gulf Stream is, how much heat it carries (“every day it gives more heat than the world’s coal supply in 2 years“), and what would be the impact on some regional climates if its pathway was deliberately moved by geoengineering. Posted in History, Science. 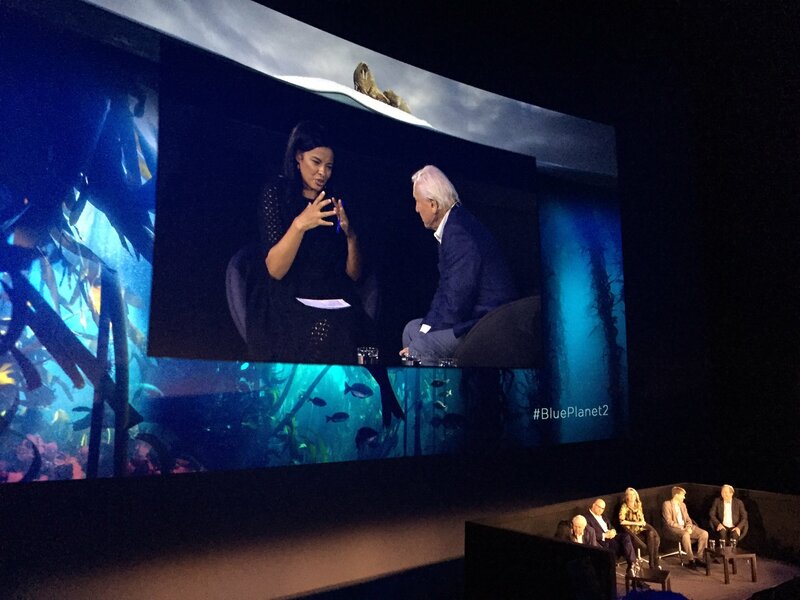 Tags: gulf stream, history, North Atlantic, oceanography, OSNAP, Pathe, twitter on September 17, 2014 by Mark Brandon.